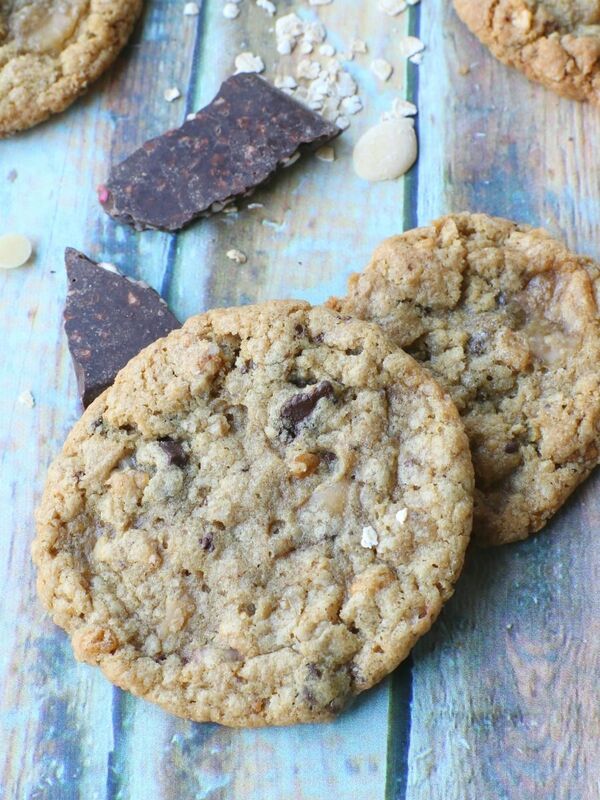 Compost cookies, monster cookies, garbage cookies…we may not agree on its name, but you all will agree that these cookies are AMAZING! 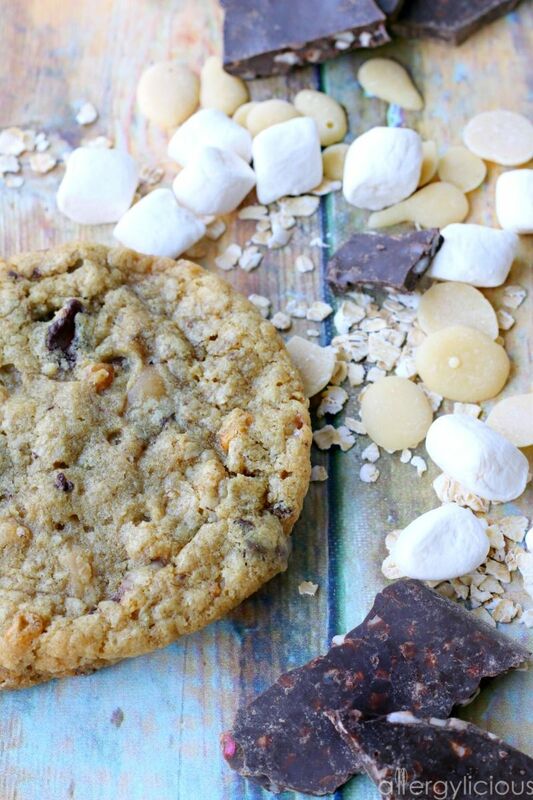 Sweet + salty + oaty + minty + nutty + gooey = OMG! 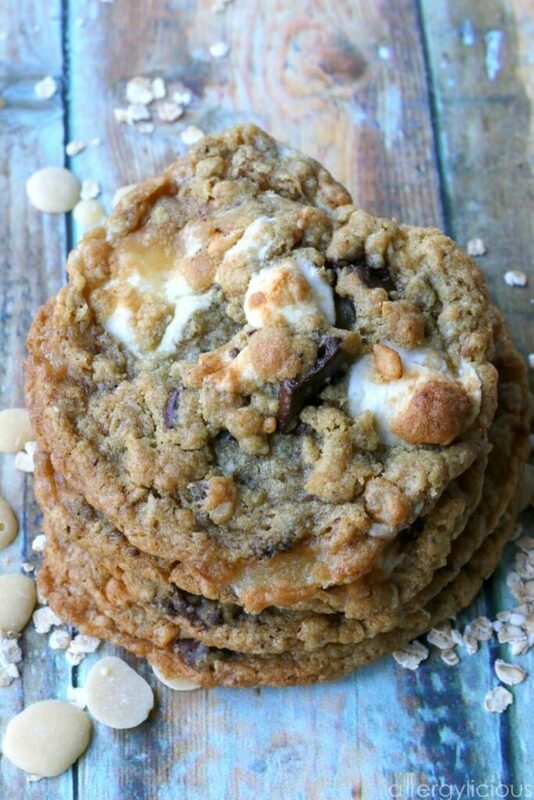 Have you seen the Cornflake-Chocolate Chip-Marshmallow cookies created by Chrisina Tosi, chef/owner of Milk Bar. I first drooled over saw them on the Food Network and then was tempted once again when she made them on Martha Stewart. All I knew was that I needed this cookie but had to recreate them, making a cookie that was allergy-friendly too. Marshmallows added in our second batch (we use Dandies which are vegan, but they do have soy). Aren’t sure about all these ingredients? That’s ok. Leave some out, replace with others, load it up with all your favorites. 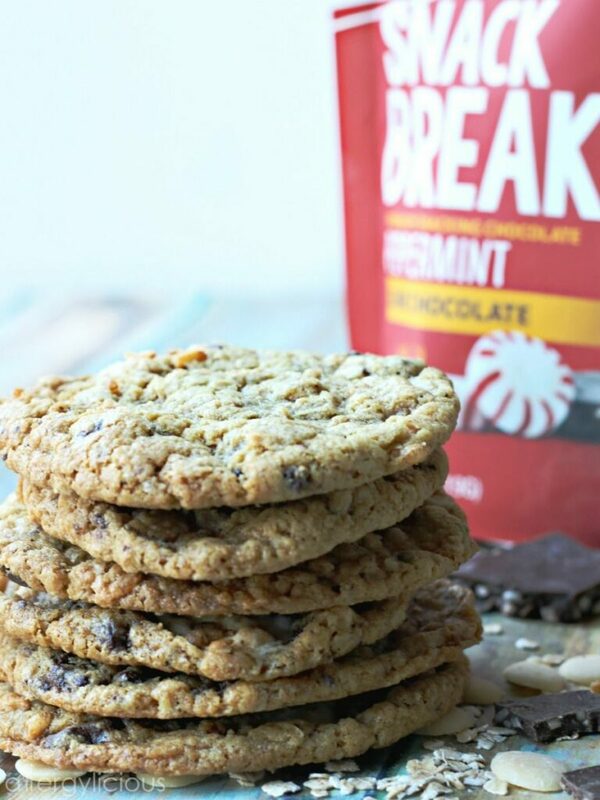 Since I was making these for the holidays, I used Free2B’s Snack Breaks in their Dark Chocolate Peppermint flavor. 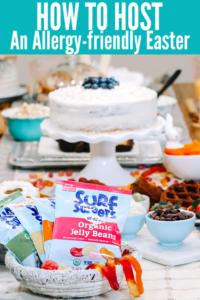 They also have Blueberry Crunch & Cranberry Pumpkin Seed which would a fun way to change things up, depending on the time of year you’ll be making these. 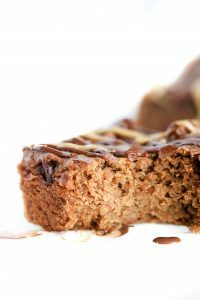 OR….stick with chocolate chips, because you can’t go wrong with a classic. The great thing about this recipe is it is super easy. There is a bit of chilling time, but totally worth it & necessary if you don’t want it all to melt together. Just make sure to roll the dough into balls and then chill them. I tried it the other way around, but quickly found out that rolling dough balls before they are chilled, is SO much easier. Then bake and get ready for the “oohs and awe’s”. Making a batch of vegan compost cookies are the perfect way to bring this year to a close and ring in the New Year. 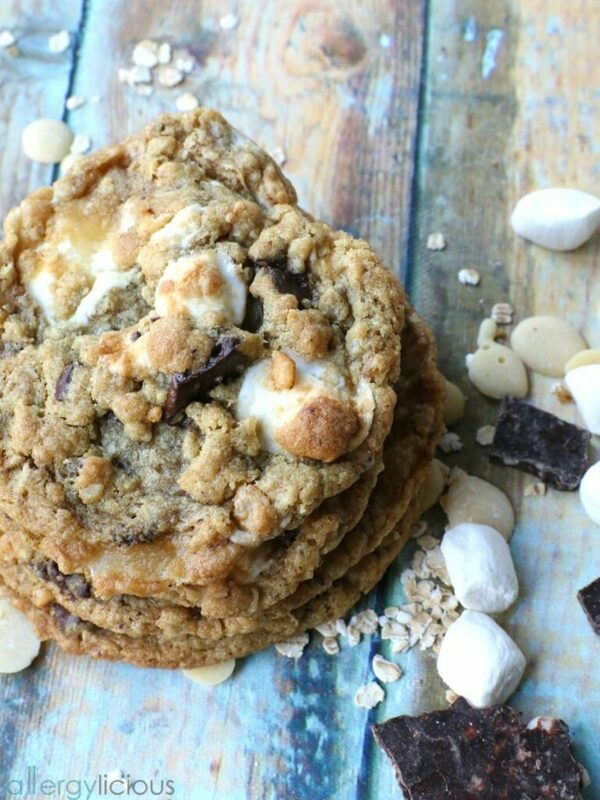 It’s like a gathering of all your favorite cookies, all rolled into one! Time to get the party started. Preheat oven to 350°. Line baking sheet with parchment. Meanwhile, Combine flour, baking soda, & baking powder in a medium bowl. Slowly add in flour mixture while on low speed JUST until combined. Scrape down sides if needed. Stir in the oats, chocolate peppermint pieces, white chocolate chips & rice krispie cereal. If using marshmallows, add these last and try to keep these on the top of the cookie dough ball, so they don’t melt into the cookie. 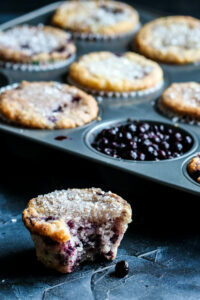 Refrigerate 1 hour or more. Drop 1/4 cup sized dough onto prepared baking sheets, 3 inches apart. Bake in batches 10-15 minutes. Cookies should be browned on the edges and golden in the middle. Cool on sheet pan before transferring to a plate to serve.